“Now I can do all I want to without the stress because Gwynnae stepped in without judgment. She worked quickly, respectfully and all decisions were made on my priorities, not on a preconceived organization method. Gwynnae is calm, funny, flexible, supportive, generous and smart. She actually made streamlining fun! Who knew that was even possible? It's evident she has truly found her calling"
"I got more accomplished with Gwynnae in just a few hours than I had in the past year. She got the ball rolling and has inspired me to organize and take care of other aspects of my life too. Gwynnae has lots of great suggestions and really works with your individual needs. It was money well spent!" You are doing such a great job helping my mom with her paperwork and keeping her organized! You are making our lives so much better! Thank you so much for helping to remove a huge burden from my shoulders today. The filing basket hasn't been empty for 2 years. I feel such a sense of relief! You are a true joy. I would never have gotten motivated to go through my closet if I hadn’t made an appointment with Gwynnae. We accomplished so much in just 3 hours – it was a huge weight lifted from me when she drove away with a full carload of items to be donated to a reputable charity. She later sent me a receipt from the charity for my taxes. I thoroughly enjoyed working with her and look forward to having her come back again! Gwynnae was just wonderful to work with and helped me move from feeling totally overwhelmed to organized and in control! I gained an entire bedroom and all of my closets are cleaned-out and organized. She was professional, direct, facilitative and very thoughtful about how to go about the work. I was very impressed. If you are feeling overwhelmed with too much stuff in your house, stuff everywhere, and stuff out of control call Gwynnae. You will get things back in order and will feel much better as a result. ... I consider myself to be a Type-A, highly organized person, and with two children + being in a *tight* house with very little storage, everything was out of control. What I needed was a clone of myself - intense attention to detail, highly organized, but also somebody who could help me think outside the box and work with me side-by-side to help me regain the organization I so desperately needed. Gwynnae at Home Transitions was EXACTLY all those things. Gwynnae worked hard with me, asking me hard questions to help me de-clutter, giving me creative (and neat and tidy and EASY) storage ideas, and she even helped me problem solve how to live without my office (gasp!) so my 4-month-old baby girl could have a room of her own (and so could her parents!). She even hauled all my (tons of) donation piles to great charities for me and sent me the receipts for my taxes. And I learned a lot of skills from her that I continue to use to make additional progress (or when my husband says he wants to keep something we haven't seen in 7 years)... 5 stars (I'd give her 10 if I could), A+...Use Home Transitions. You will not be sorry! I am what most people would consider a "hoarder," although I call myself a "pack-rat." Either way, my home was, without a doubt, a disaster zone for a number of reasons. I refused to ever have anyone come over (even if I had, there was no place for them to sit). When I finally realized that I could not clear my clutter alone and that I needed help. My sister helped find Gwynnae Byrd at Home Transitions for me and I am eternally grateful. From the very first time Gwynnae came over, she gently led me through the much needed trek to an uncluttered home, mind and life. She allowed me to go at whatever pace I was, without any judgment or criticism, which is often associated with this condition. I could not have come this far without Gwynnae and Home Transitions. 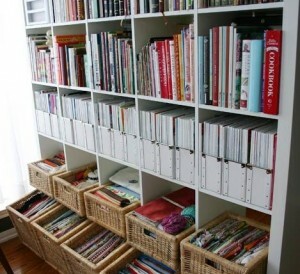 I am happy to say that we now have an ongoing relationship to help me continue my quest toward living organized. I would recommend Gwynnae and Home Transitions to anyone wanting any amount (small or large) of organization in their life. A breath of fresh air. Gwynnae worked with my family to tackle a closet full of clutter. I appreciate her philosophy and approach and the result was well worth the investment. It is very helpful to have an objective party involved when you are trying to part with things you have had for many years. In some cases it makes sense to keep things, but you realize through the work with Gwynnae that you can achieve greater satisfaction by reducing/eliminating. She also offers a fresh perspective on how to use your space. I highly recommend Gwynnae's organization services. Without the able assistance, hard work, and direction of Gwynnae I would still be in a state of paralysis. 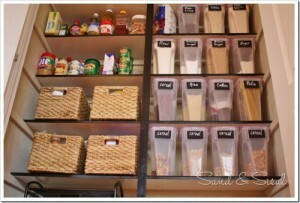 Her organizational skills are superb and I learned that motivation can be contagious. I highly recommend Home Transitions to anyone even contemplating a beneficial upgrade in their living environment. Gwynnae helped with my mom’s estate and also helped my mother-in-law move into a new home. I am so thankful for her help. My mother-in-law was very pleased with how smoothly her move went, and expressed to me her appreciation for the quality of Gwynnae’s assistance. I will gladly refer her to other people! In a subtle and so effective way, you’ve helped me to see what’s important to save or reorganize. I can’t thank you enough. You’re GOOD! There isn't a day that goes by when I'm not grateful to you for the gifts you've given me and my mom. She loves her room so much she calls it her "happy room" every night. As for me, I feel as though I am picking up my life where it left off 10 years ago. From my first meeting with Gwynnae I knew I had finally found someone who could help me in the way I needed -- she is well-educated and savvy yet her approach is very simple and clear. She knows how to set realistic goals and use practical organizing principles to keep the project priorities straight. I had just moved long distance and it seemed that I would never "settle in" to my new home -- I had what seemed like endless stuff and "clutter" of all kinds I needed to sort and act on. I would recommend her to anyone facing a transition -- life is complicated enough and having Gwynnae on your side is well worth it! Gwynnae did everything she said she would for me - and more! She really became like a life coach for me, helping me through a very tough transition. Just like she told me - “it isn’t always just about the stuff!” She really is a full-service operation, and I can’t thank her enough! 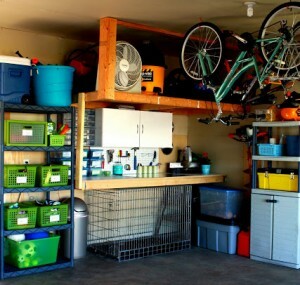 You have uncluttered my garage. In 10 years I have never been able to walk more than a few feet into it. Many Thanks! Thank you for lighting a fire under me to get through my bedroom. I would like to thank you for all your help, advice, and recommendations. You are a delight to work with, and I will be calling you back again later this year. Today is the two month anniversary of my big move... I’m so happy here, and want to say a big THANK YOU for all you did to get me here. Friends here have inquired: “How did you do it?” and I say “look for Home Transitions – they have great people who can get you where you need to go!! Thanks for everything -- I would like to write a testimonial that this is only possible to get through because of what you do and how you do it. I'm deeply grateful. I will help you regain control of your time, space, and life with simple systems to get and keep you organized. Whether it’s you or your loved one who is moving, I can help reduce the stress associated with the transition by managing some or all aspects of the move. Whether you have a home office or household papers that have taken over your countertop, I can help tame the piles! We will discuss how to stem the flow of stuff coming into your home, and I will help you get rid of what you no longer need/use – either to donate or sell. We will purge unused items, then set up their rooms to make it easier to find stuff and put stuff away. Whether your parent is living or has passed on, I will help you deal with all their affairs – not just their physical belongings, but also the legal, medical, and financial issues.